There is parking available in the front of the casino. Excellent food quality and selection. Had the special surf & turf, which was delicious! Such a great value for the quality of the meat and lobster. 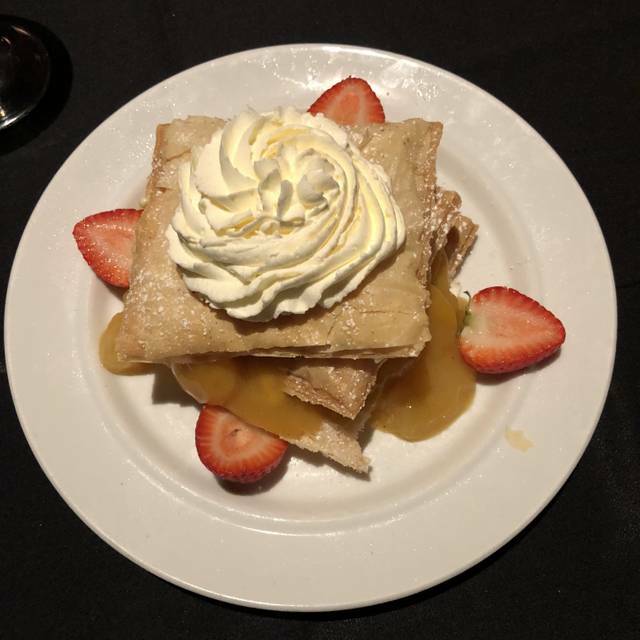 A hidden gem in the Fremont casino! We had great service from our server Pam. The food was great and so was the dessert. I would defiinetly request for Pam again on our next visit. Our experience at the Second Street Grill was fabulous. The staff was friendly and the service was excellent. 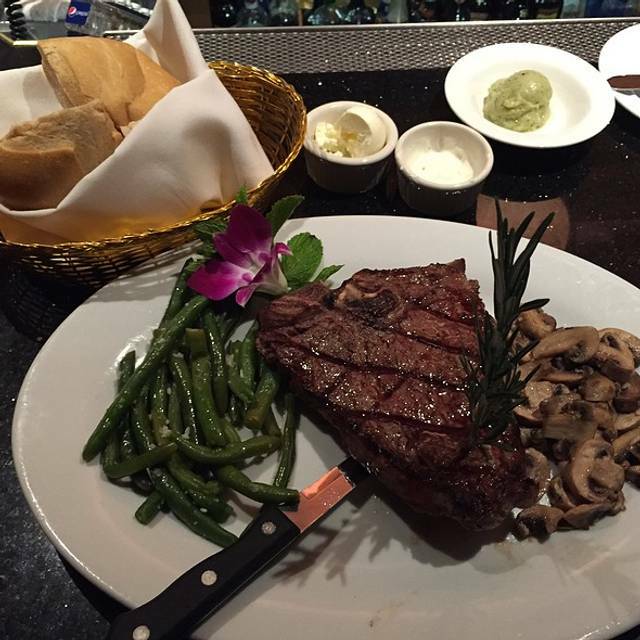 The rib eye steak and prime rib were both extremely tender and flavorful. The salads were refreshing and tasty, as were the appetizers, especially the escargots. And save room for dessert. We both eat very clean, healthy. We ordered the spawn pasta and scallops and shrimp pasta. Both of us had stomach/intestine issues most likely due to cooking in canola or vegetable oil. No reason to use those if they did. But it tasted great but I wish they used real butter instead. Both fish and meats were cooked to perfection! You definitely will get your values worth. Server was a bit busy and couldn't remember who ordered what drink or main dish, but overall, a favorite when I visit Las Vegas. Greta food and great people. Very pleasant experience. The food was great. We had filet mignon w/lobster, NY strip, and Shanghai duck. All were great dishes and my friend from Shanghai said her duck was spot on. Would definitely recommend and we will likely be coming back next time we’re in town. We love this place! We go every year for our anniversary and we look forward to the Prime Rib all year long. It is one of those gems in Vegas that should be packed everyday!!! 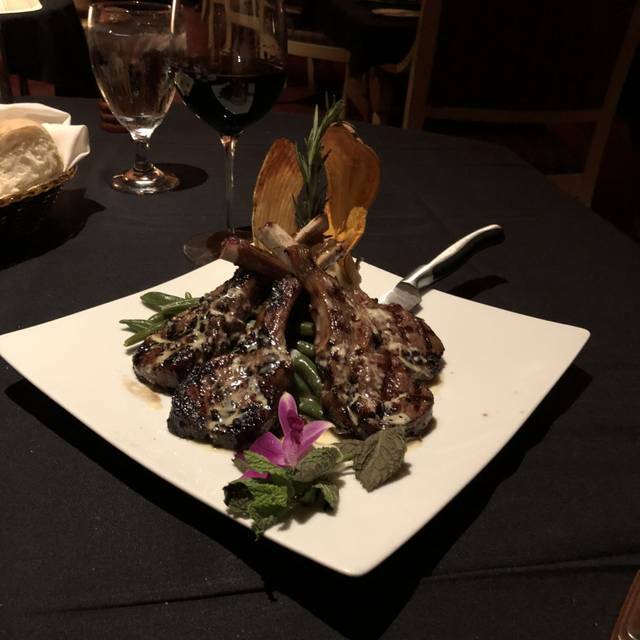 Best reasonably priced high end restaurant in downtown Las Vegas. 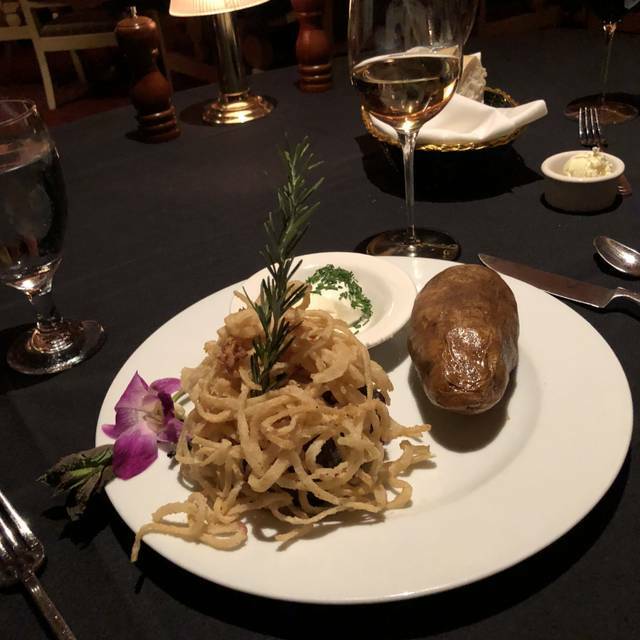 We go here for fabulous food every time we visit! Our waitress at Second Street was so friendly & amazingly efficient. She helped us with our selections of food which was most helpful. We enjoyed eating there & would highly recommend our friends to go there. This is my third visit to Second Street Grill, I make sure to visit every time I am in Vegas. 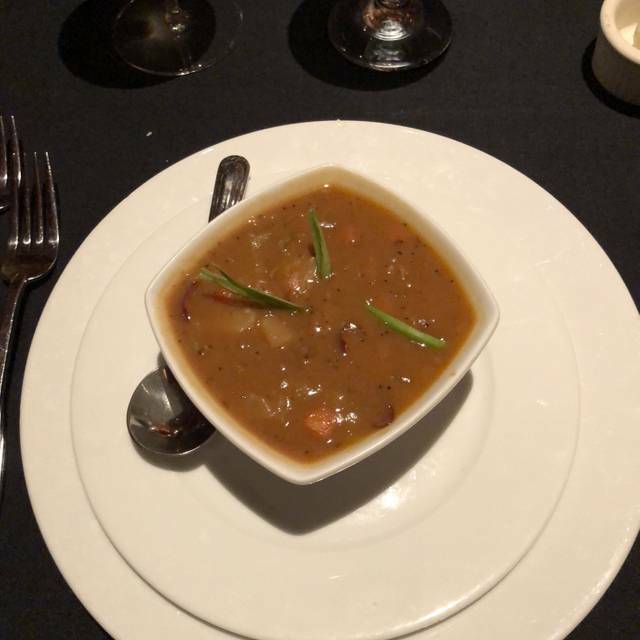 The food is delicious and the service excellent! It is a hidden gem downtown. This place is on Las Vegas Blvd (Caesar Palace side) across from Linq Promenade (just a bit north of there) and next to Pete's Seafood. Wonderful food and reasonably priced! Amazing in every way! Excellent food with beautiful presentation. Honestly the best meal I’ve had in years. The Butter Fish is out of this world!!!! Great food, reasonable priced, and very good waiters. 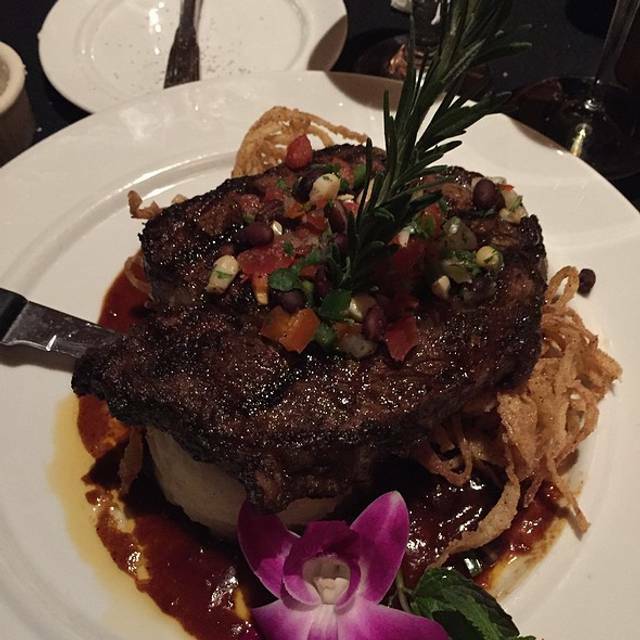 NY strip is awesome. Food was excellent. Catarino was attentive, courteous, friendly and professional. A must for dinner. I really liked the quiet oasis the Steakhouse provided just off the Fremont casino floor. Mike the Manager offered me a Jackpot Old Fashioned that really hit the spot. Tony was a good waiter, who took care of me but did not hover. The T-Bone steak special came with salad and potato as well as veggies and mushrooms. It was a great value. This place is booked as one of the top ten places to dine in Vegas?! Boy they sure suckered me! My prime rib was terrible I had better at the buffet at the Stratosphere and that was bad too. Our waiter was good. The prices were not! There was a group in there being drunk and loud and the staff never addressed it! I was about to tell them to shut up! Very rude and not a good experience. I know I’ll never hear back but this is my thoughts. Shouldn’t have paid cash at least on a CC y could have stopped the charge! Thanks for ruining my first and only trip to Vegas! FYI I won at the tables so this negative review is just about the dinner for the 4 of us that was not worth $155+ dollars. This place was awesome! Great service, great food and great atmosphere. We both had the New York steak, tasty, cooked to order, generous, served with a side salad. Really enjoyed the steak-Gorgonzola cheese blend. The mound of onion strings were a bit much (how about something more healthy here). The restaurant is dark, cozy, though not necessarily quiet (a 6 person work group sat nearby). Service was outstanding throughout the meal. This restaurant is hidden away inside the Fremont hotel casino. The Fremont is the usual kind of gritty down town hotel. But hidden inside is the Second Street Grille. It is really nice, classy, great food at a reasonable price. I took a date, and I had the Ahi Tuna seared rare which is my favorite. It was just right. Everything is good, the servers are classy, the wine is good, the ambience is good. However we had a table of six near us telling dirty jokes. Not the restaurants fault though. We come to Vegas every year for New Years and we have eaten at Second Street Grill for the last 4 years and absolutely love it. We had 16 in our party and the staff was excellent with our large group, seating, service, food was all excellent. Our waiter has waited on us for the last 3 years and we love him, he is the older gentleman with such a kind and appropriate spirit. So uplifting and wonderful. Went for NYE dinner. 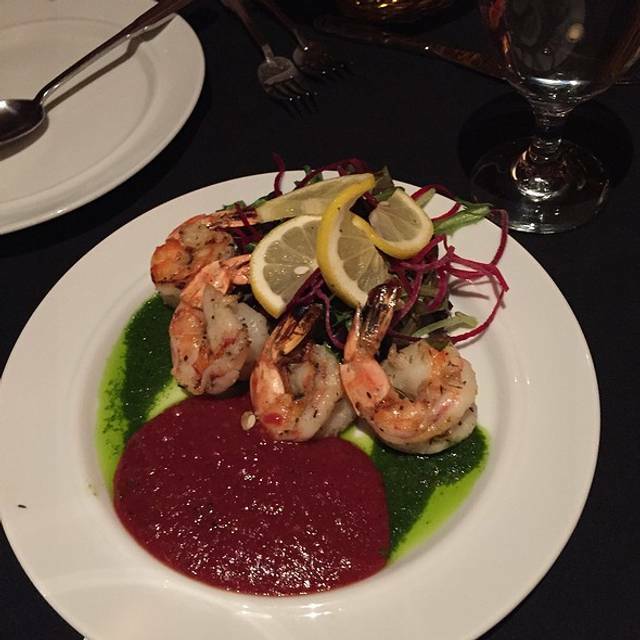 Service was excellent ; Tony is a seasoned veteran waiter who was attentive and pleasant. The food was only so-so but maybe that is a function of the pan American fusion on our palette. Ribeye steak very good. 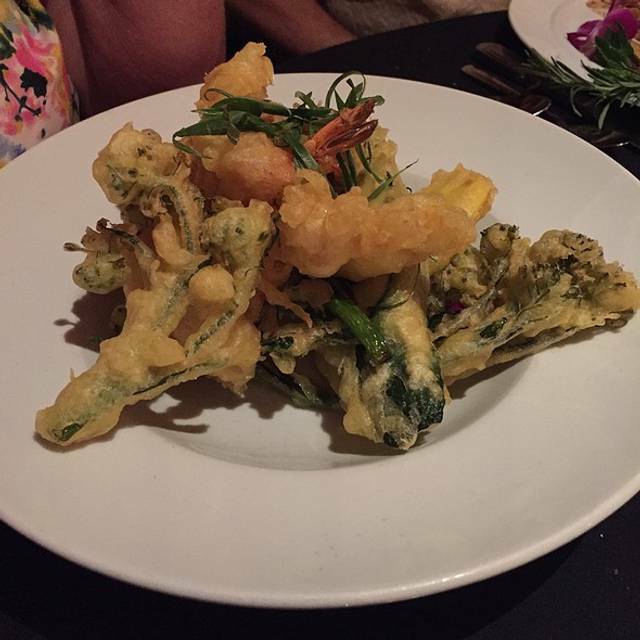 Tempura decent. Butterfish medium ; for less price the Cal coffee shop version just as good. Shrimp stuffed with crab is deep fried so not as expected. The snapper was the worst dish we had. Not fresh and was over cooked. Would not order again. Lettuce wrap apps decent, ahi sashimi app ok and crab cakes meh. Overall I'd say for the price it was a tad disappointing. The Cal steakroom is WAY better but again if pan American is your thing, maybe this is okay for you. Atmosphere good, quiet. Doubt I'd go back but worth a try to see if you like this style of dining. Really nice local place with decent food. Nic was a jewel! We had to add a couple to our reservation on a Saturday night and he made it happen. Small place but awesome!!!! we had excellent service from server Pam. Food was very good. Very good meal with excellent service. I had a filet which was cooked perfectly and it was VERY tender and spiced properly. Wife had a seafood pasta meal which was wonderful. While you are right off the casino floor you’d never know it. It’s generally a great cozy place to dine. 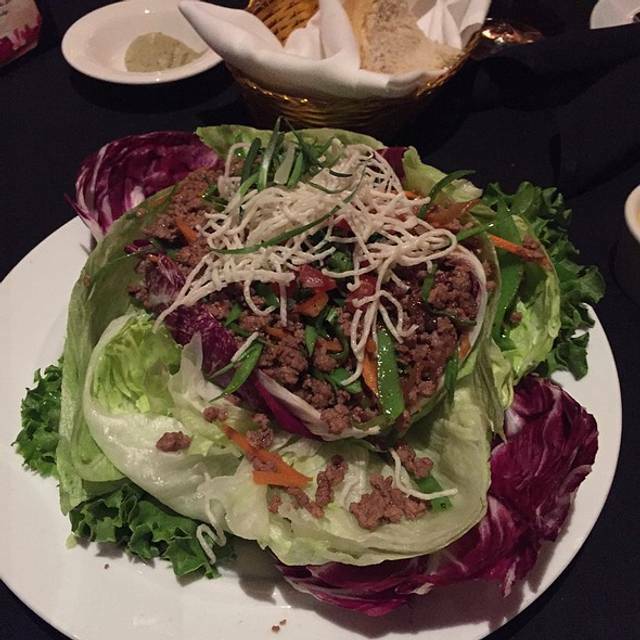 You will find it to be a great value with high quality food and service. Highly recommend. The only issue I would have is our table for two was seated beside a table of 6 who were having a very good time. They were very loud and boisterous which infringed on our enjoyment in our 35 wedding anniversary celebration. We were seated here despite 80% of the dining room being available. (We were seat at 5pm and when we left there were still 80% of the dining room available for seating. Outstanding restaurant, great service, outstanding food, very reasonable cost. Go there you will not be disappointed! Wonderful meal. The salmon was delicious and my friend ordered the roast duck. We also enjoyed the escargot appetizer. Our server Tony was friendly and provided excellent service. Our server (Pam) was fantastic and we were well looked after. This was an extremely pleasant surprise. We were looking for a nice steakhouse type restaurant for my sister’s 60th birthday and this place certainly fit the bill. Excellent wait service, delicious food and classy understated ambience. Surprisingly quiet and peaceful despite being directly off a noisy section of the casino. I highly recommend this place. They were amazing very sweet and juicy. We were both stuffed. The best is there all cut for you. Our servers were very attentive. We never needed to ask for anything. We will be back for sure. Three guys on their last night in Vegas (out of 6 altogether) . If we had found this gem at the start of the trip, we would have been more than once. The whole experience was worth the trip to Vegas. A wonderfull menu, most excellent food, prepared for us by masters , and served without fault. We will be recommending you to our friends and we will be back. Thank you for a wonderfull dining experience that is not easy to find any more. Delicious dinner, wonderful service. Don’t know why we’ve never been here before! I had the tempura platter. Tony was the best waiter. He really took care of our party of 8. We eat there every time we go to Vegas. Everything is always very nice. This time my steak was a little over-cooked, but I had brought guests and wasn't going to make any issue. Overall great experience, we will eat there again the next time we make it to Vegas.